There’s no doubt that Facebook live has lead the video revolution first for business pages and now for personal pages with Periscope right up there when they launched live. Instagram and Twitter launched their versions of live streaming video the end of 2016. Last year LinkedIn released an app called LinkedIn Record. The app is for recording live video and was released only to a limited number of thought leaders and only for iPhone. 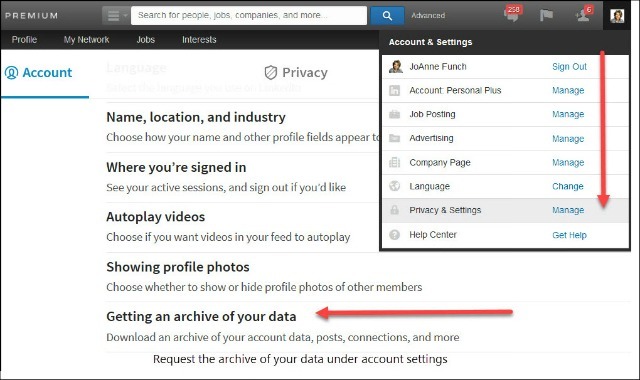 This is historically how LinkedIn launches new items, first to a limited number of users before they release it to all LinkedIn users. Again, I am referring only to live video. You have had the capability of adding a You Tube link to a status update, company page or your profile for quite some time. This is an opportunity to highlight a company promotional video, you speaking, demonstrating your product or any number of other ideas to enhance your brand. 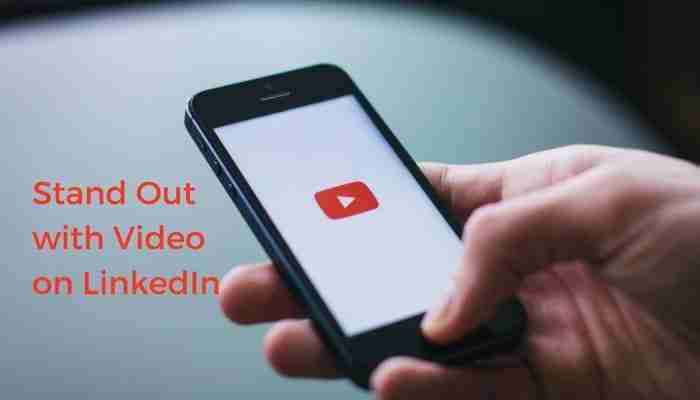 You can do this one of two ways, first if you have some video’s on your You Tube page you could click “Share” and post it to LinkedIn as a status update. I would add some text to say what the video is about and why someone should listen. The other way is typing out a status update as you would normally and add the You Tube link. This pulls the video in. The video does not auto play unless the user had their privacy settings adjusted to do so. Get creative and design a short presentation in Power Point or Keynote and save it as a video. I suggest creating something that adds value versus selling something. The more fun and value based your content is, the more credibility and trust you develop. I would make this type of video short, between 30-60 seconds. The idea is to create interest, not to ask someone to sit through a full-feature presentation. Another presentation/video style tool is Animoto. Create videos quickly and professionally according to your content strategy. If you are writing articles (previously known as published posts), this is a great place to embed a short video clip as it relates to the topic of your article. I have seen users embedding a video replacing any written text. I believe this is not the way to use this feature. I typically think shorter videos again are better because people are busy and like to scan or listen quickly. This would be a great place for a teaser type of video or perhaps you highlight one point in your article adding additional value with the visual enhancement. In my article, How to Use LinkedIn Articles to Gain Greater Visibility I offer 10 Tips to writing good content on LinkedIn. Incorporate these ideas along with embedding a great video and your content will get noticed and commented on. The messenger app is becoming an important communication tool across platforms and LinkedIn is no exception. If you are in sales, you could be using messenger to both follow-up with a lead you may have connected with and sent a proposal or as a touch point message to stay top of mind. How about creating a quick video message? It is so much more personal and brings a more human element to the conversation. A strategy I learned from a fellow LinkedIn trainer is to create a short video message that you send out to new connections welcoming them to your network. You can quickly record a message on your phone and upload it to your You Tube channel saving it as ‘unlisted.’ This way, when you send the link, only the person who has the link can view the message and not everyone who subscribes to your You Tube channel. Building a content strategy for marketing yourself or your business is critical to stand out, build trust and influence on LinkedIn. 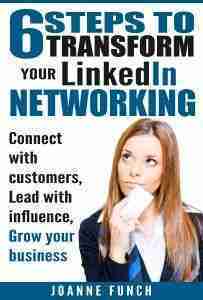 Whether you are building awareness and driving leads for your business or building influence in your niche to move up in your company or seek other employment, you need a content plan to win on LinkedIn. Video should be part of your overall content plan. It is powerful and is not going away anytime soon. A great way to get ideas is by turning to big brands. They have resources to produce more elaborate video’s but we can take what they spent the money on and incorporate the ideas into our own strategy. View the ‘LIFE’ tab on company pages – you will find great ideas to do a behind the scenes video of your company. Scroll the newsfeed daily and watch for the ‘Sponsored’ video. These are by companies that are paying for advertising. I like to view them for ideas. In addition, always check out what your competition is putting out for content and then endeavor to be better! Video is a fantastic way to differentiate you, your company and your employees. There is no better time than NOW. Are you creating a video now? Please let me know and share a video clip – would love to see what you are doing.